We live busy lives and often it seems difficult to take time out, catch our breath, and maybe just reassess whether what we’re chasing is worth our time and worry. In a frenetic world, we probably all have a favorite way of finding sanctuary–perhaps taking time off, or traveling to some idyllic spot, or just off to a meal out or a movie with sweetheart or family, or maybe indulging in a hobby or interest. Me, I like gardening. I know one thing–we all need time-out, moments when we can drench ourselves in silence and apartness, returning renewed and, just maybe, wiser–the gift of self-reflection when we glimpse where we’ve been, and are, and where we need to go. 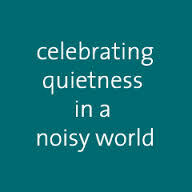 Cultivating quietness long term means we have to work at it, just like other good things in life. They say practice makes perfect. I don’t know about that, but I do know it makes things better. Some find meditation important in gaining equilibrium, and I can endorse that, particularly the Zen kind with its focus on mindfulness that affords me access into myself without my need to control. Lately, I’ve added poetry to ways I can augment my need to exit life’s speedway. I bathe in its wisdom, marvel at its concision, the depths of psyche it plums, its mellifluous stream of words, the cornucopia of tumbling imagery that makes me see again things I’ve missed or erringly tossed or lost in my life’s journey. We busy ourselves in a world often filled with self-centeredness and aggressiveness that, if we’re not careful, can dull our humanity and turn our hearts to stone. Poetry helps us keep the wolves at bay–the world’s and our own–and with our best self, love and hope again. Poetry does it all so well. I like that, and I think you will, too. This entry was posted in Lifestyle, Poetry, Reflections and tagged Joseph Roux, meditation, Poetry, quietness, serenity, stillness. Bookmark the permalink.